What do you know about the carnivals? What do you know about freak shows? Prepare to be informed, entertained and enlightened as you delve into the murky depths of how it all really works. 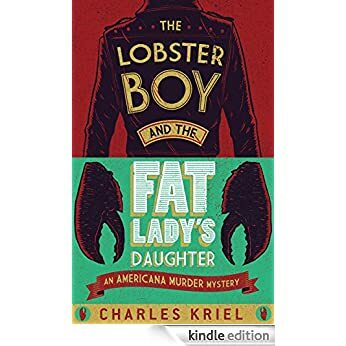 Charlie Koontz aka Lobster Boy was born into the life of an entertainer, classed as disabled by polite society, and as a freak by himself, he runs the show that pulls in the crowds but success brings the pay-offs and bribes, and this is where the story begins. Charlie is framed for murder, and in desperate need of help he turns to his step-daughter Mel. As she fights her way through the twists and turns of the Southern Georgian town, Mel discovers not everything is as is seems. The facts don’t add up, evidence is being ignored, and she can’t go to Charlie to help him but she needs to do something. With the freaks from the carnival at her side, and covering her back she takes on the fight to clear Charlie and free him, not realising that this will have her facing shadows that she’d wish stayed hidden from a past she’d rather forget. There is so much that I could say about this book but I really don’t want to give away too much of the plot, too many hints or clues would give away too much and believe me, this isn’t a book you want spoiled for you! Kriel’s writing style is quick, punchy and keeps you on your toes. His descriptions are intensely detailed, I found myself envisioning the Big Wheel and other fairground rides, but most sensationally descriptive were the acrobatic performances and fight scenes. In particular, the performance by one character really shows the attention to detail, the level of research undertaken and pride in ones work. The characters are engaging, you want to know more about them, you want to know what happened in their past, what secrets they have hidden. The clever marketing of this novel prior to release created a buzz, and I am happy to say that it has lived up to the hype. This is an immensely enjoyable read, and I cannot wait to see what Kriel comes out with next, where will Mel Barry end up next? My only concern would be whether this impressive writing style and talent can be bottled so any subsequent works can be written to the same high standard. I would absolutely recommend this book to anyone that enjoys Fiction, Mystery and hotshot PI type genres. In fact, I would go so far as to insist you buy this book, it definitely will be one of those you’ll kick yourself for not reading! Copy kindly supplied by Bonnier Publishing / Twenty7 Books in return for an honest review via NetGalley. Cleverly weaving the past and the present together we read how a young boy commits a horrific crime in 1966, before moving to 2008 where we meet Ellen Sutherland, a recently divorced mother of two struggling to get her kids to move in the morning, wear a school jumper and handle the stresses of work and family. When a letter arrives asking her to contact a solicitor in the West Country she is understandably confused and intrigued in equal measures. She takes the advise of the solicitor and travels down to his office to hear that she’s been left a substantial inheritance in the Will of Eudora Nash. Eudora Nash is not a name she knows, not someone she can recall ever meeting, or knowing through any friends or family. As the story of Ellen and Eudora unfolds we weave cleverly back in time to the court case of the young lad, his subsequent life after that incident and how his family moved on with their lives, where they went mentally and physically from there. There is so much that could be said about this book, and I find myself struggling to say much more without giving anything away, this really is a fantastic book that screams out to be read. Both stories move along quickly, characters involved are engaging and interesting, and there is a definite sense of needing to read on to see what happens next. The location descriptions are fantastic, I found myself imagining Eudora’s cottage and the breathtaking views, if only it were a place I could visit! At no point did I feel I wanted to read ahead, this book thoroughly captured my attention and held it. There were no points to me where it dragged or was dull to read, each page deepened the intrigue and mystery and I had to keep reading to find out what happened. For a debut novel, this is impressive work, I really do hope that Minett can carry forward this level of writing into another book, he is definitely an author to add to the list and keep an eye out for future books! I would absolutely recommend this book to anyone that enjoys Fiction, Thrillers, and Crime Fiction genres. In fact, I would go so far as to insist you buy this book. Copy kindly supplied by Endeavour Press in return for an honest review via NetGalley. From the outside, the Walkers seem the perfect family. With a revered family name, they are wealthy, loyal and proud. Manufacturers of the world-famous Broadshire Porcelain, they are respected within their home village. That is, until DCI Webb sees a message spelt out in flowers in their sprawling garden. The head of the family, Dorothy Walker, is found dead. Now each member is a suspect. Webb and Sergeant Jackson must work against time to unveil a secret that has festered within the Walker family. Secrets, jealousy, tension and blackmail lie under the surface. When the killer returns, the detectives must find out who could hate the Walker family enough to strike – and strike again? The long-buried truths of six proud Walkers are to be unearthed. 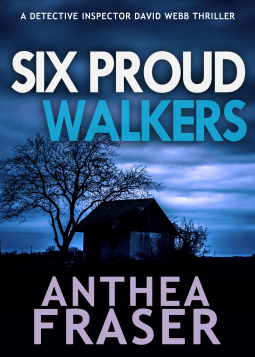 Set against the backdrop of a peaceful village during a summer heatwave, ‘Six Proud Walkers’ is a gripping crime thriller, featuring Anthea Fraser’s popular detective David Webb. When “Murder” is spelled in a floral display in a garden DCI Webb is instantly intrigued, the peaceful idyllic village will be rocked by the murder of one of its most prominent inhabitants and it’s up to DCI Webb and his team to solve the case before there are any other victims. DCI Webb is visiting his friend Hannah James, who is house/cat sitting for her boss (the local headmistress) when they are invited to the local church fair. It is whilst Webb and James are being given the grand tour that they discover the word “murder” written in flowers and wonder what it is all about, meeting members of the Walker family sheds no more light on it, but instead poses more questions. When the matriarch of the Walker family is found murdered the next day Webb finds himself wading through the lives of Dorothy Walker’s family, who has a secret they’ve kept hidden, who has a secret they want kept hidden and who’s secrets will rock the very core of the family?! I don’t want to give too much of the plot away, there are bits and pieces you can guess as you read about the “whodunnit” and the “why” but there are twists that you just can’t see coming and they will shock you. The spelling mistakes in this book really put me off, things like “Guy” instead of “Guv” “hail” instead of “hall” are just some of the ones that grated on me. Granted these are small things, but they really stood out of me, and really put this novel on a bad footing with me. I felt the pace was quite slow in the beginning, desperately fighting the urge to skim over bits and pieces to get to somewhere in the novel where things actually happened. I appreciate that the scene needs to be set and key characters introduced but it really felt like it was dragging at times. Overall this very much felt like an episode of a British crime teatime TV show (Midsomer Murders? ), quite dated feeling, despite the tragic murder and the vivid descriptions of the scenes this novel had an almost gentle, bumbling along feel to it. I felt that I only finished this book to find out who the murderer was and why they did it, curiosity gets the better of me, but I will say that it was tough going at times because of the bad spelling and the format of the book felt “messy”. Maybe my kindle had a bad setting for this book, but at times it was hard to tell when one character stopped speaking and another started because their dialogue seemed to run into each other. I might recommend this book to anyone that enjoys Fiction, Crime and Police Procedural Genres. Copy kindly supplied by Bookouture in return for an honest review via NetGalley. Detective Constable Jennifer Knight isn’t what you’d call a normal detective, she possess a psychic ability and has found herself working on Operation Moonlight, a task force dealing with the less than ordinary crimes in the small town of Haven. When dead bodies start turning up Op Moonlight are interested, especially when it would seem that each victim had been given a tarot reading shortly before their death. At first they wonder what the connection between the victims is, do they know the seer of their death? Or are they just chosen at random? From the start the reader knows who the card reader is, he’s Raven. Far from normal, he holds a power over his targets, he’s dark and twisted and he’s on a mission. As you delve into Raven’s past you can’t help but feel remorse, sorrow and pain for him as a child, but that all ends when you discover the person he becomes. Jennifer Knight on the other hand, the more you read about her the more you love her and her determination to save everyone in Haven. She’s had a tough time and she’s not going to let anyone or anything hold her back. She’s fierce, determined and gutsy, something that makes this central character stand out. There is so much that could be said about this book, but that would give away too many details that might spoil it for readers. The style of writing is very good, there is a clever mix of police procedural and paranormal elements, characters are engaging, interesting and draw the reader in. Sub plots are well interwoven into the story and the flashbacks to a character and their past are very well written. Having not read Mitchell’s first instalment, I worried that I would struggle with this novel, but at no point when reading this did I struggle. Any hint to previous events was cleverly done, so much so that you could easily imagine this as the debut novel. I will be making a point of checking out the first book in the series just to see what happened though. This was definitely a page turner, and I am keen to see how Mitchell follows this up with the third book! I would recommend this book to anyone that enjoys Fiction, Crime, Mystery, Thriller and Paranormal genres. Copy kindly supplied by Legend Press in return for an honest review via NetGalley. At twenty-one, Tallulah Park lives alone in a grimy bedsit. There’s a sink in her bedroom and a strange damp smell that means she wakes up wheezing. Then she gets the call that her father has had a heart attack. Years before, she was being tossed around her difficult family; a world of sniping aunts, precocious cousins, emigrant pianists and lots of gin, all presided over by an unconventional grandmother. But no one was answering Tallie’s questions: why did Aunt Vivienne loathe Tallie’s mother? Why is everyone making excuses for her absent father? Who was Uncle Jack and why would no one talk about him? As Tallie grows up, she learns the hard way about damage and betrayal, that in the end, the worst betrayals are those we inflict on ourselves. This is her story about the journey from love to loss and back again. 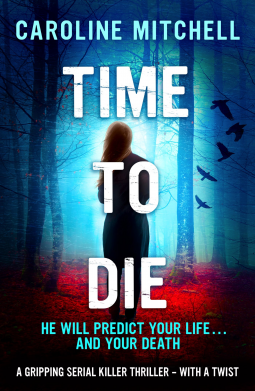 Tallie Park gets a call that fills her with dread, her father has had a heart attack and is in hospital, her cousin urges her to go to the hospital to see him, but Tallie’s not sure she can manage that, not after what happened five years ago before she disappeared from her family. Can she face them all again? Can she face their questions? What will happen if her father comes round? Can she face him? 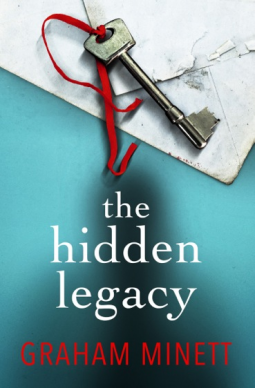 Every family has secrets, and when Tallie finds out hers so many things suddenly fall into place, things make sense to her in a way they never had. She can understand why no one talked about Uncle Jack, and why her father was so detached and absent. It also explains a lot about certain characters, some of whom are incredibly eccentric because of past events. The writing style of this novel is fantastic, the insightful switching between past and present provides snippets of information as to why Tallie is so damaged as a young woman, the heartbreak and heartache she has suffered to get her to where she is in life and it more than explains why she had to walk away from everyone and everything she knew five years ago. Whilst she’s a very vulnerable character, the author has created a strength in her that you cannot fail to be moved by. Tallie’s narrative monologues add a depth to this novel that take it to another level, her stubborn streak shines through and despite making some incredibly bad decisions, her reasoning for making them is clear in her thoughts, something the author has done really well in my opinion. The tension written into family scenes is intense, you really get a sense of how difficult the Park family are together as they snipe at each other, or they rile each other and don’t always agree on things. The story interspersed with medical information was incredibly enjoyable to read, it made this novel stand out more for me, I like a book that can teach me something and this one certainly did. I would recommend this book to anyone that enjoys Contemporary Fiction, it also makes a great holiday read. Copy kindly supplied by Thomas and Mercer in return for an honest review via NetGalley. Even the most incorruptible juror can be unwittingly influenced by others’ opinions in the digital age, but more sinister forces are at work: jury tampering has reached all-time highs. Unexpected verdicts are coming down more and more often, indicating that shadowy groups may be blackmailing jurors—and leaving the American justice system in shambles. Is impartiality even possible anymore? Victoria Lewis, former governor of Virginia, thinks it is—and she has a plan to fix the broken system. Her home state is about to select two hundred citizens to become full-time jurors. Those chosen will live in a refurbished prison for two years, where they’ll be completely isolated from society and protected from all outside influences. But someone always finds a way to cheat the system. And when a deadly political conspiracy reveals corruption that poisons even the highest echelons of government, everything Victoria has created stands on the brink of destruction. Can she protect the jurors, the justice system—or even herself? In 1992 a young girl called Victoria Lewis arrives outside Archer Prison to meet her father upon his release from incarceration for a crime he is adamant he did not commit, and was a victim of jury tampering. Fast forward to present day, and the little girl is now a grown woman who has served as Governor and is spearheading a project to create “professional jurors” called Project Archer, or as she is keen to remind people “Jury Town”. Symbolically, the building being used for the Project is the prison Victoria’s father was once resident. the prison has had a massive overhaul, now boasting gyms, high tec. computing and cinema equipment (for link up to courtrooms around the State of Virginia), and à la carte menu. The aim is to create a legal system free from abuse, bribery and repute. But there are many who would like to see it fail. 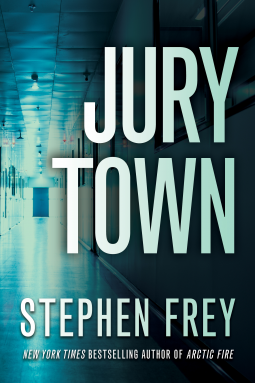 Victoria must battle her enemies, both hidden and ones in plain sight, as well as her controlling drug habit, all whilst seeming completely calm and controlled as the face of Jury Town. With conspiracy, corruption and politics playing a huge role in this novel, the pace is quick, the jump in narration between those plotting the death of Victoria and the supporters of the Project make for interesting reading. As conspiracies go, the rot goes right through the organisations and seeing the lengths that some are prepared to go to just to get the outcome that suits them is very well written in this novel. There are many things I could say about this novel, but it would give away too much, and I am keen not to spoil it for others. But this is definitely a multi-layered thriller, thought provoking but thoroughly enjoyable. I would recommend this book to anyone that enjoys Thriller, Political and Fiction genres. Copy kindly supplied by Hodder and Stoughton in return for an honest review. Still mourning the death of his wife, private investigator Mark Novak accepts a case that may be his undoing. On the same day his wife died, the body of a teenage girl was pulled from the extensive and perilous cave system beneath Southern Indiana. Now the man who rescued the girl, who was believed to be her killer, begs Novak to uncover what really happened. Garrison is much like any place in America, proud and fortified against outsiders. For Mark to delve beneath the town’s surface, he must match wits with the man who knows the caverns better than anyone. A man who seemed to have lost his mind. A man who seems to know Mark Novak all too well. 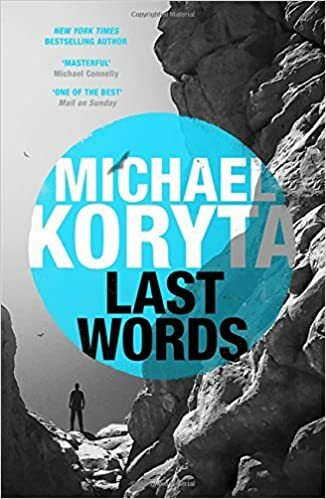 Last Words is a pulse-pounding thriller of one man’s undoing; you just may not know which man. Mark Novak, still mourning the murder of his wife is sent away on reconnaissance of a case that he believes has no possibility of being accepted by the organisation he works for as a private investigator. Mark is sent to a small town called Garrison, hiding from the Board, who are baying for his blood and looking to end his career with them over his handling of many things, including his meddling with the investigation of the murder of his wife. He is trying to find a basis for taking on a case of a teenage girl being pulled from a cave by a man believed to be her killer, and strangely, it is the man believed to be the killer that is requesting Mark’s help to investigate what went on that day. This is where the interest dies with this book, the promising start seems to be abandoned for an in-depth look at the cave and the mystery surrounding it, and it’s apparent hold over the character thought to be the murderer of the teenage girl. The stereotypical small town mind set plays a huge part in the plot, not liking outsiders, but always there’s one person that wants to help, sees that this new person might be able to bring resolution to the townsfolk after so many years. Granted there are some very well written parts to this novel, the descriptions of the stages of hypothermia were interesting, reading the character’s struggle to keep going whilst ticking off which symptoms he was fighting were interesting to read, but if the cave had not been such a major character in this novel then these would have undoubtedly not needed included. In terms of a mystery, this book ticks the box well and truly, there is a great mystery in this book, who did it, why did it happen, who is trying to scare Mark out of town, why did someone go to such extraordinary lengths to mess with Mark, will the truth ever come out? But for me there was the great mystery of why did it end so unresolvedly? The answer being, there is another book to follow. So does that mean that this book is really just setting the scene? It would appear so, and in that sense I have to admit I do feel a little cheated. The writing itself it good, the pace is quick, the press release quotes that Koryta’s writing is akin to jumping into fast flowing water, and I can definitely vouch for this, it’s definitely something you feel swept away with, reading on to see what happens next, it’s just a shame that the ending just didn’t satisfy me as much as I would have hoped. I might recommend this book to someone who enjoys Fiction, Thrillers and Mystery genres. 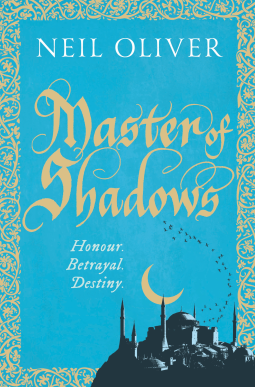 Copy kindly supplied by Pan Macmillan in return for an honest review via NetGalley. The gift of a lifetime? Anna Browne is an ordinary woman living an ordinary life. Her day job as a receptionist in bustling London isn’t exactly her dream, yet she has everything she wants. But someone thinks Anna Browne deserves more . . . 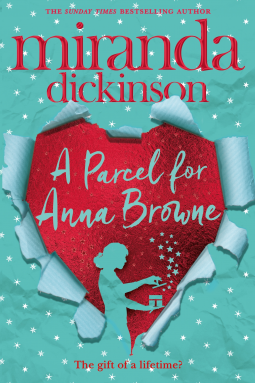 When a parcel addressed to Anna Browne arrives, she has no idea who has sent it. Inside she finds a beautiful gift – one that is designed to be seen. And so begins a series of incredible deliveries, each one bringing Anna further out of the shadows and encouraging her to become the woman she was destined to be. As Anna grows in confidence, others begin to notice her – and her life starts to change. But who is sending the mysterious gifts, and why? We first meet Anna Browne, a quiet but friendly receptionist at a London newspaper, when she receives a parcel at work. Anna is intrigued, she never gets parcels, not even at home so who could be sending parcels to her at work? This coupled with the upcoming “job swap” scheme dreamed up by management at the newspaper is enough to have Anna wondering what’s going on. The beautiful gift in the first package gives Anna the confidence to take on the job swap she was assigned, shadowing the top reporter, who she might just have a slight crush on. Anna and Ben work well together, her new found confidence shining through showing her fun loving and interesting personality, and a new friendship between the pair is formed. Most people hearing about the package that arrived for Anna advise caution, who could this mysterious benefactor be? Why did they send such an impressive, expensive looking gift? What do they want in return? Could there be a more sinister motive behind the gift? But Anna looks at it differently, someone has sent her an exquisite gift that she adores and cannot think who it could be but would love to be able to tell them just how much it means to her. The office is abuzz with intrigue when more parcels arrive, almost one a week arriving for Anna, no note of who the mystery sender is, but each one containing something so incredible that Anna can barely believe her luck. As the intrigue builds, the scandals intensify….is it Ben sending gifts to Anna to declare his intentions? Does Anna have a mystery admirer? Is she sending them to herself for attention? With each new parcel Anna grows in confidence, she becomes more outgoing, people notice her more for the new person she has become and she is happy. It is fair to say that the character blossoms with the arrival of each gift, as well as becomes driven to try and find out who is sending them. There is also an element of memory attached to a lot of the parcels, they stir memories long forgotten about Anna’s childhood in Cornwall. Or help her remember times of happiness when she was younger during a troubled childhood. There is so much I could say about this story, but I really don’t want to give away too much and spoil the book for others. The way this novel is written is good, the pace is steady and flows well, I found myself almost speed reading at times desperately trying to see if I was right about who was sending the parcels. The physical descriptions of settings and people are very good, I could almost imagine the settings of the beach in Cornwall, the little shops in London described whilst Anna was on her hunt for her mystery benefactor, but also the descriptions of the gifts and their packaging and how delightfully beautiful they all appeared to be to Anna. So much so, at times I wished someone would send me a package or two containing a pretty gift! I very much enjoyed Miranda Dickinson’s writing and I will definitely be on the look out for more of her work in the future. I would recommend this book to anyone that enjoys Fiction, Chick Lit, it would also make a good holiday read. I would like to thank Pan Macmillan for the copy of this book in return for an honest review and if you would like to buy a copy, this book was published on 24th September 2015 . A copy can be purchased here A Parcel For Anna Browne (UK Kindle Version). Cameron Spark’s life is falling apart. He is separated from his wife, and awaiting a disciplinary following an incident in the underground vaults of Edinburgh where he works as a Ghost Tour guide. On the day he moves back home to live with his widowed dad, he receives a letter from Canada. It is from Christie. Twenty-five years earlier, Cameron attends Lancaster University and despite his crippling shyness, makes three unlikely friends: Christie, the rich Canadian, Tommo, the wannabe rock star and Bex, the feminist activist who has his heart. In a whirlwind of alcohol, music, and late night protests, Cameron feels as though he’s finally living; until a horrific accident shatters their friendship and alters their futures forever. Christie’s letter offers them a reunion after all these years. But has enough time passed to recover from the lies, the guilt, and the mistakes made on that tragic night? Or is this one ghost too many for Cameron? In 1986 Cameron Spark went to university in Lancaster, a shy and quiet young Scottish lad that managed to form three of the most unbelievable friendships that change his life forever, shape what becomes of him and his friends. Cameron first meets Tommo who is the antithesis of Cameron; he is English, he is loud, he dresses in drainpipe jeans, wears fashionable shoes, drinks alcohol and wants to be a rock star. Then there is Bex, the love of Cameron’s life, an animal rights activist, feminist and can do no wrong as far as Cameron is concerned. Christie, the final of the four, is a Canadian, who comes to Lancaster to study marketing before she takes the reins of the family wine business back home. Being the typical students, they go to lectures, get drunk, go to gigs and generally have a good time being young and free from parents watching over them. Or that is until that fateful night that changes everyone’s lives, the accident changes Cameron’s life in more ways that he can imagine, friendships are abandoned, and the mistakes that are made that night will haunt each of them for the next 25 years. Switch to current day, Cameron, now in his 40s has split from his wife, moving back into his childhood home with his widower father (and Myrtle the dog), suspended from his job (pending investigation of an incident in the underground vaults of Edinburgh) and writing a journal as part of his therapy from a counsellor as a means to coping better. Then the letter arrives from Christie, inviting them to a reunion of sorts, what can she possibly want Cameron there for? Can he face her after what happened all those years ago? Have Tommo and Bex been invited too? The writing style of this novel is good, the jumping back and forth between 1986 and present time is done really well, it gives so much information about Cameron as a young man at university and the group of friends he has, and explains a lot of why things have turned out as they have. For me, none of the characters are particularly likeable, they are all at one point or another needing taken aside, shaken and told to “buck up” – but this is very realistic in many ways, how many times do we do things, say things, act in ways that make us annoying to others, naive or just plain stupid? For someone to make characters like that it’s very good writing in my opinion, it’s easy to write loveable characters, but to create ones that are difficult to like seems a lot harder (maybe I’m wrong?). There is a fine line between doing things for the right reason and doing things for the wrong reason, and this novel explore that well. I would like to thank Legend Press for the copy of this book in return for an honest review and if you would like to buy a copy, this book will be published on 1st October 2015 . 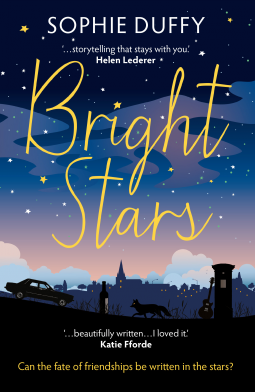 A copy can be purchased here Bright Stars (Kindle UK Version).